The P.G. Mfg. Co. marking isn't found often, but the "Genuine Howell China" label found on the example below is seen from time-to-time. I'm working to find more information on P.G. Manufacturing. The TV lamp that has it all! This TV lamp from P.G. 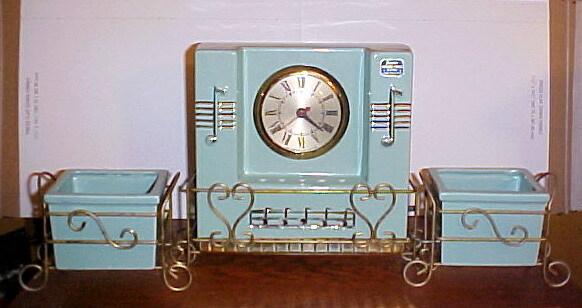 Manufacturing Co. is a versatile little number, with a clock and dual planters. 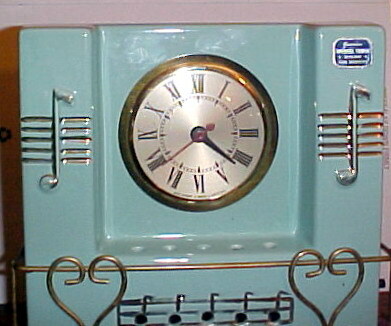 Also found in white, the clock is from Sessions. Photos courtesy of Terri Farrar. Not the only TV lamp with a musical theme, this one is done to great effect. Light comes through the musical notes across the bottom. 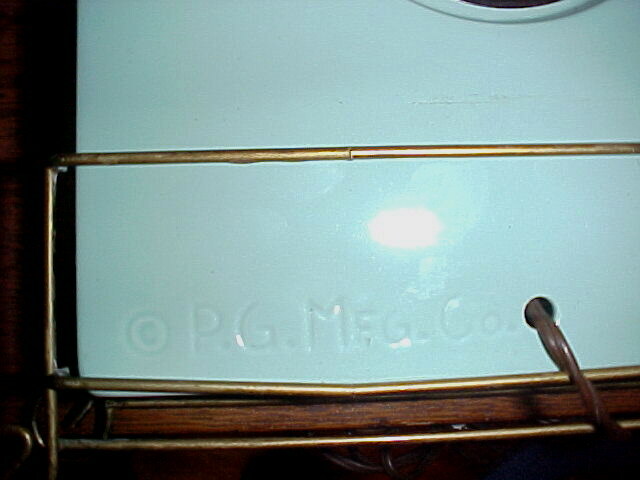 The back of the lamp is marked P.G. Mfg. Co., while a foil label on the front declares it to be Genuine Howell China. It is also stamped MLO on the bottom.